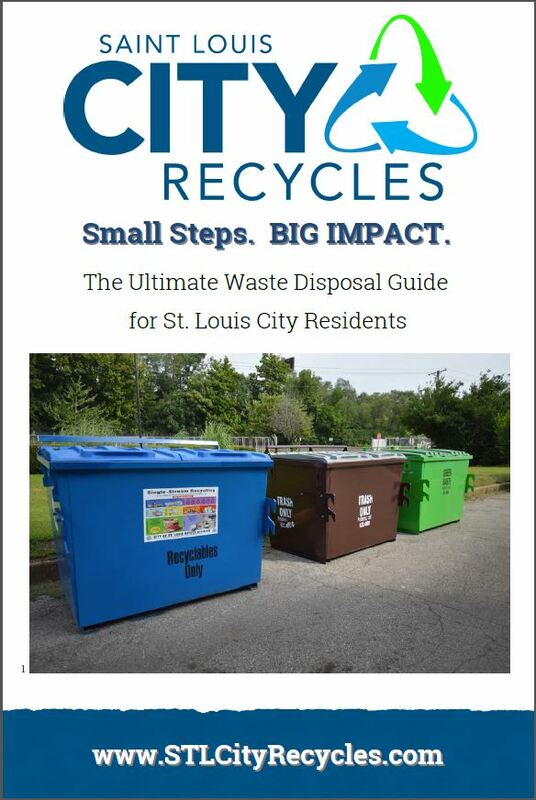 Here are our resources that are available to download and/or print. 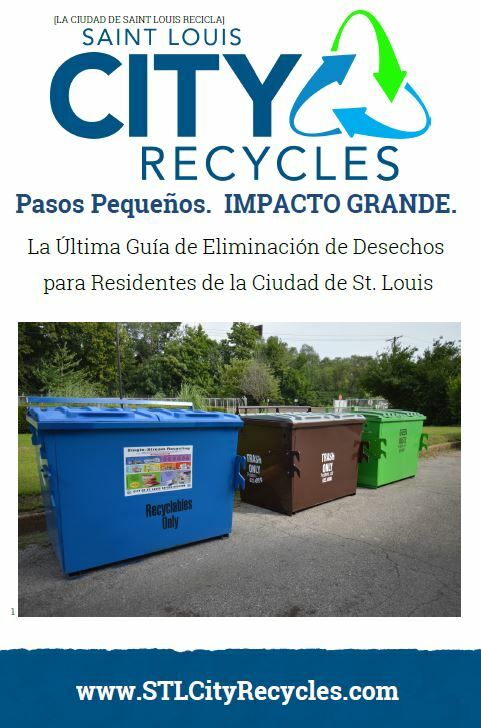 Our Recycling 101 sheet and the City’s Ultimate Waste Disposal Guide are offered in various languages as well! 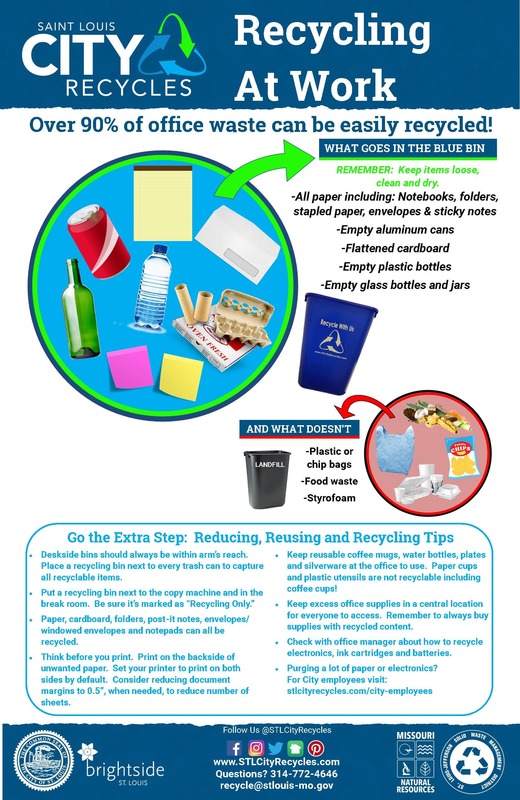 Here are recycling posters to download for your work, school, gym, special event or for your household. 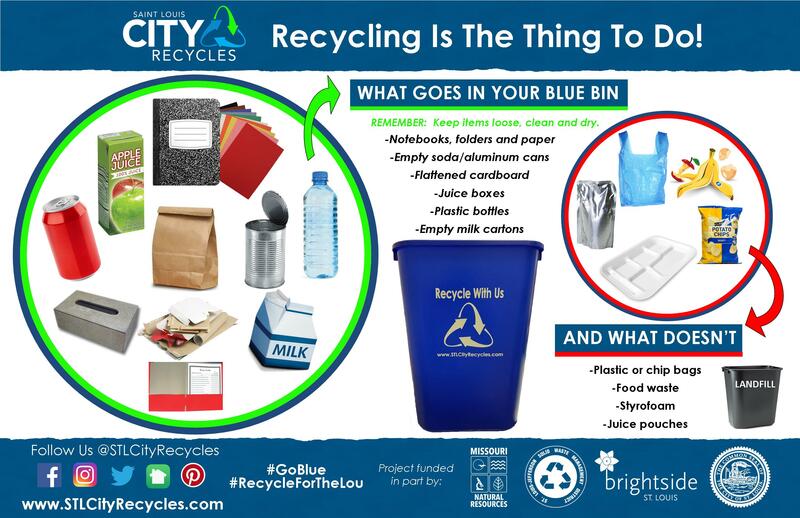 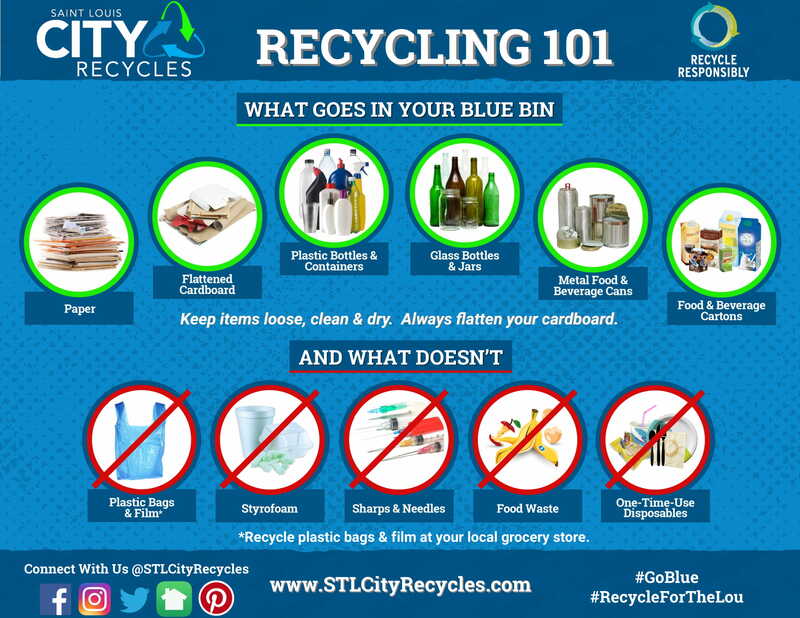 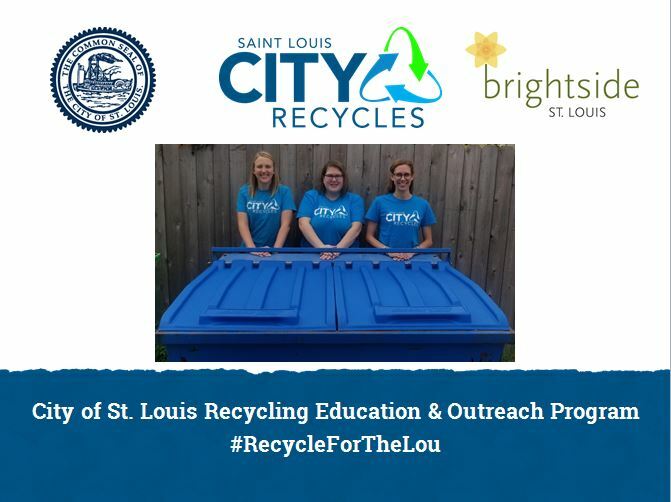 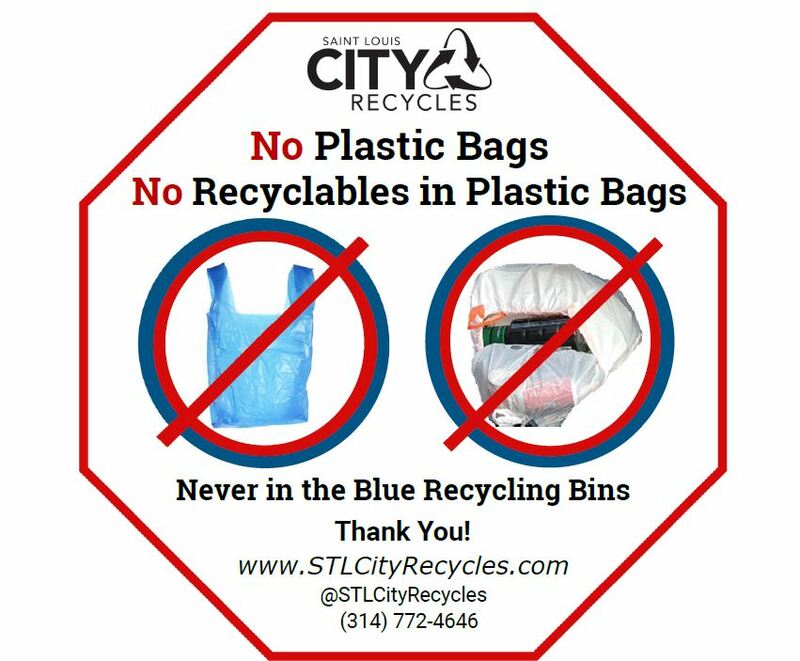 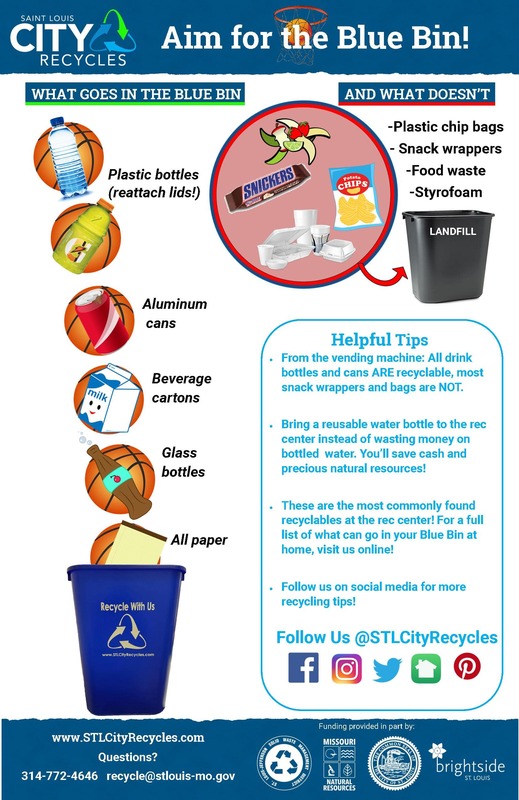 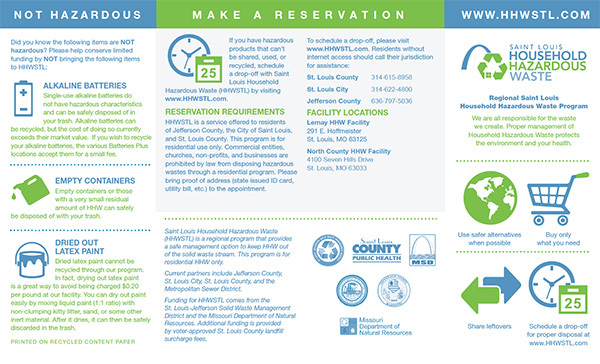 As a reminder, no matter what place you are in, recycling is the same everywhere in St. Louis! 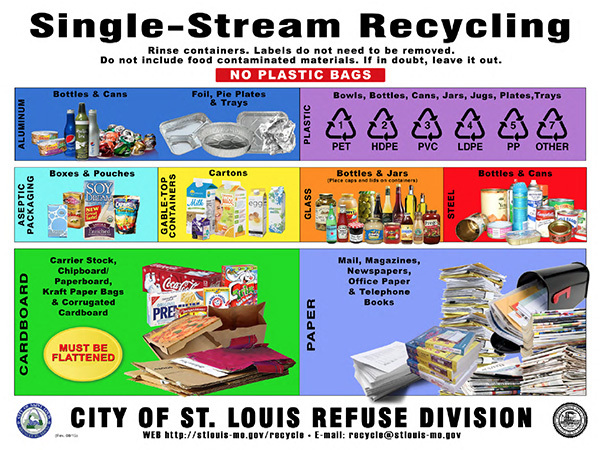 What is accepted and what is not accepted does not change from place to place in our region.